Finding aid only for Manuscripts Small Collection 157. Papers relating mainly to the Slinker family of Metcalfe County, Kentucky. 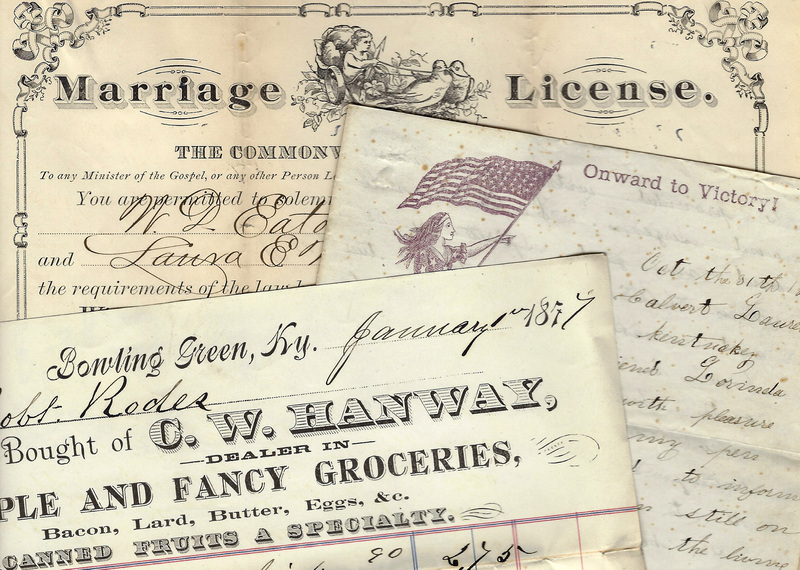 Includes Metcalfe County deeds, 1868-1905 (8) and survey, 1871; tax receipt, 1870; and mortgage of livestock, 1875. Also includes Hart County survey, 1821; request for deposition, 1819; minutes of trial testimony, 1880; three letters, 1881-1903; and an undated declaration against aliens and Catholics. Folklife Archives, Manuscripts &, "Slinker Family Papers (SC 157)" (2011). MSS Finding Aids. Paper 1721.